PHILADELPHIA (WPVI) -- Memorial and funeral services have been announced for the four men found murdered in Solebury Township, Pa. last week. Meantime, the parents of one of the four victims have hired a personal injury law firm to represent them in a possible civil case related to their son's death. Action News has learned the personal injury law firm Ross, Feller, Casey, LLP has been retained to represent the parents of murder victim Mark Sturgis. 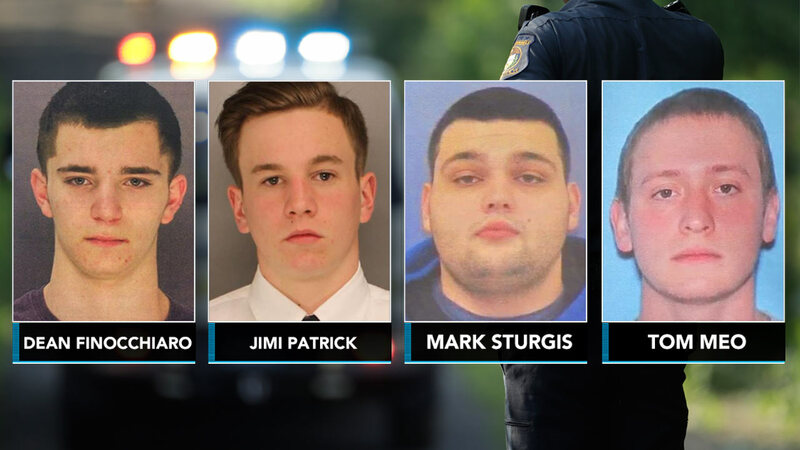 The firm says its investigation will focus on whether anyone other than the two men currently being charged in the murders, Cosmo DiNardo and Sean Kratz, can be held civilly responsible for the murders. That development was announced as family and friends prepare final farewells for those who were killed. A prayer service for Jimi Patrick will be held at 7:30 p.m. Tuesday at Holy Ghost Preparatory School in Bensalem, Pa. Patrick graduated from Holy Ghost in 2016. Loyola University in Maryland will hold a memorial service on Wednesday remembering all four men, and another memorial mass for Patrick alone when students return to regular classes in the fall. Patrick attended Loyola University. Patrick's wake will start at 10 a.m. Friday followed by a funeral mass at 1 p.m. at The Church of St. Andrew in Newtown, Pa. Relatives and friends of Tom Meo are invited to gather Wednesday evening, 6 p.m. to 9 p.m. and Thursday morning, 8 a.m. to 9 a.m. at Burns Funeral Home, 9708 Frankford Avenue, Philadelphia, PA 19114. Funeral Mass 10 a.m. at St. Anselm Church. Interment Resurrection Cemetery. Family and friends of Mark Sturgis are invited to attend his Memorial Gathering on Thursday evening July 20, 2017 from 7 p.m. to 9 p.m. at the Fluehr Funeral Home 864 Bristol Pk. (Rt. 13 ) Bensalem, Pa. 19020. Family and friends of Dean Finocciaro are invited to call on Saturday from 12 p.m. until 4 p.m. at the James J. Dougherty Funeral Home, Inc., 2200 Trenton Road, Levittown, where his funeral service will be held at 4 p.m. Interment will be held privately.